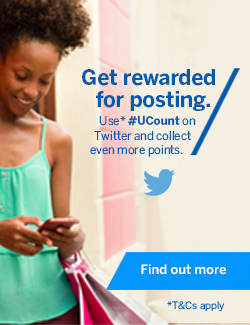 Join UCount Rewards today in just three easy steps. It costs just R24 per month or R288 per year. 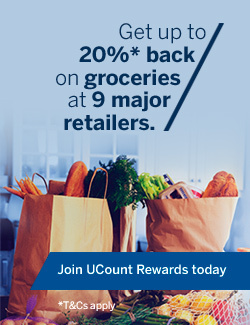 Set up your UCount Rewards profile and you will be able to log in to check your rewards points balance and your rewards tier for the month online at your convenience. You will need to activate your UCount Rewards Card before you can redeem your rewards points at our Rewards Retailers or for fuel at Caltex. You can activate your card online or via the UCount Rewards Contact Centre. 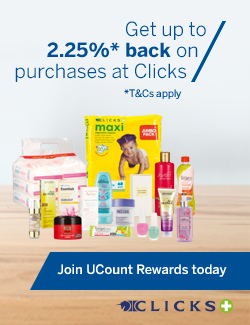 Get up to 1.25%* back in rewards points every time you swipe your qualifying Standard Bank card. Get up to R5* back in rewards points per litre in fuel purchased fuel at Caltex.